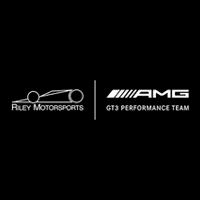 DANVILLE, VA. Mercedes-AMG Team Riley Motorsports was knocked out of the lead late in Sunday’s Michelin GT Challenge at VIRginia International Raceway (VIR) in a contact incident that took away a likely victory for co-drivers Ben Keating and Jeroen Bleekemolen in Round Nine of 11 GT Daytona (GTD) races on the 2018 IMSA WeatherTech SportsCar Championship schedule. Although Bleekemolen recovered to finish fifth in the No. 33 Mercedes-AMG GT3, the bump-and-spin from the lead with just 19 minutes to go cost Mercedes-AMG Team Riley a chance for victory after a perfectly executed race. Using a two-driver-change strategy for the first time this season, Bleekemolen qualified and started second in the two-hour and 40-minute race on the 3.27-mile VIR road course. Bleekemolen took the lead at the race start and stayed there for the duration of his 51-minute race-opening stint. Keating took over for the middle part of the race and kept the No. 33 in the lead pack throughout his run. He pitted from second place with 55 minutes remaining to hand the Mercedes-AMG GT3 back to Bleekemolen, who returned to the race in third place. Bleekemolen closed on and pressured leaders Andy Lally and Lawson Aschenbach in the race’s final 30 minutes and, taking advantage of a skirmish between the two, slipped by both for the lead in a single pass. Bleekemolen had just cleared Lally to lead only to have him hit the No. 33 in the right-rear corner and send the Mercedes-AMG GT3 into a spin and off course. Lally was later assessed a drive-through penalty by IMSA race officials for the incident. After dropping to ninth in the spin, Bleekemolen did well to gain four spots before the checkered flag, but the No. 33 team and drivers settled for a fifth-place finish after contact from a competitor for the second race in a row. Next up for Mercedes-AMG Motorsport Customer Racing teams and the IMSA WeatherTech SportsCar Championship is Round 10 of the 11-race GTD schedule at WeatherTech Raceway Laguna Seca, September 7 – 9.